Another addition to O+ Android products is the O+ Ultra Lite, a 5-incher smartphone than runs on the one of Google’s latest Lollipop OS. This also features 3000mAh battery that can last long on your day to day usage. 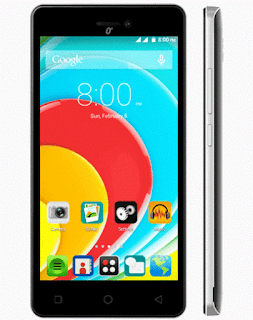 Then combined 16GB of internal storage and the free 16GB microSD makes this phone interesting on its price range. You can install your favorite applications, games and even save movies as it has a total of 32GB storage space. For the price of 4,995 pesos you can own Ultra Lite and enjoy its entire features e.g 8-megapixels rear camera for taking pictures, Air Shuffle, and more. Check out the specifications provided below. This was announced together with O+ Ultra 2.0, a much higher specs with 5.5 screen display powered by 4000mAh battery power. For availability check out O+ stores nearest you or just visit their website and social media pages for inquiry and updates.